For the second time after 2011, the Werner SCHLAGER Academy in Schwechat organizes the “World Hopes-Week” in collaboration with the ITTF and the Butterfly. From 9 to 16 June, the WSA (and thus Schwechat) turns into a madhouse. 60 children from 35 countries, all born in 2001 or 2002 will participate in a training week in the WSA and finish this with a tournament. The peculiarity of the Hopes Week: It serves the world federation, the WSA, clubs and outfitters around the world as incomparable show of the world’s biggest talents on the condition that each nation must not be more than one girl and one boy to be nominated as the frame of the event would otherwise been blown up. All continents are represented in the Werner SCHLAGER Academy, including major table tennis nations like Hong Kong, France, Singapore, Sweden and the Czech Republic, but also table tennis growth markets and developing countries such as Australia, New Zealand, Brazil, USA, Thailand, Lebanon or Jordan. This unique course is guided by the WSA-coaching team with head coaches Mario AMIZIC, Richard PRAUSE and Dirk WAGNER. 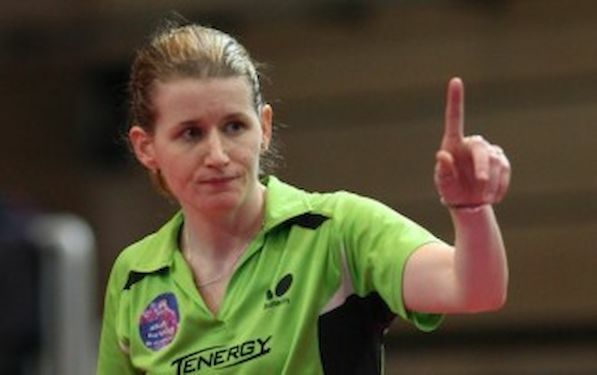 All WSA coaches as the former number two in the singles world ranking Tamara BOROS, the former number 11 in the world Aya UMEMURA, Dmitry LEVENKO, Mathias HABESOHN or Provas MONDAL will take care of the kids together with the staff of the ITTF. Even so-called “educational sessions” will be performed as part of the Hopes Week. Among others, Werner SCHLAGER, SVS STRÖCK star Daniela DODEAN, China’s world-class coach LI Xiaodong and ITTF Development Director Mikael ANDERSSON will pass on their experiences to the 11 – 12 year old children. The accompaniment around the “heroes of tomorrow” is huge. Coaches, parents, grandparents and friends accompany the kids and cause that the Werner SCHLAGER Academy (fortunately) once again reaches its capacity limit.